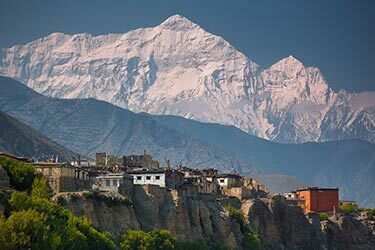 This 17-day/16-night trek takes intrepid travelers on an unforgettable journey from the Nepali capital to the breathtaking Annapurna Sanctuary. 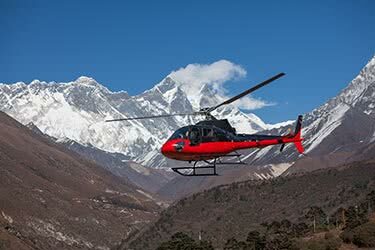 Along the way, you’ll pass through Pokhara, Machhapuchhre Base Camp and many picturesque Himalayan mountain villages until reaching Annapurna Base Camp at more than 13,500 feet above sea level. 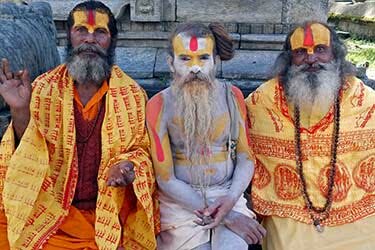 On the return journey, you’ll pass through Landrung, Dhampus and Phedi before driving back to Pokhara and Kathmandu, where you’ll have time to explore the ancient city of Patan before heading home. 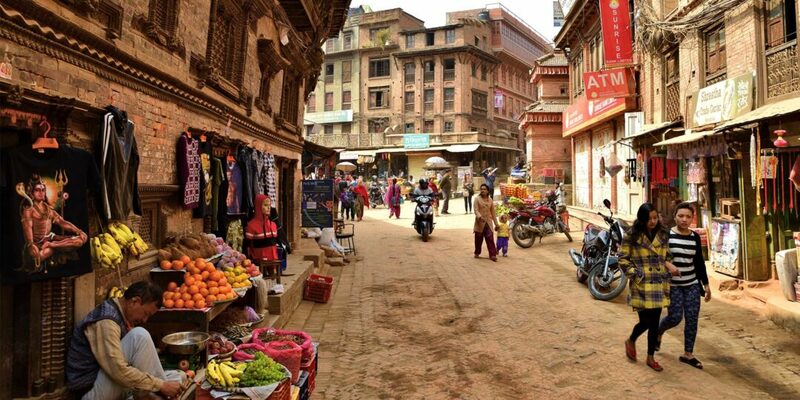 You begin your journey in Kathmandu, where you’ll be transferred from the airport to your hotel. 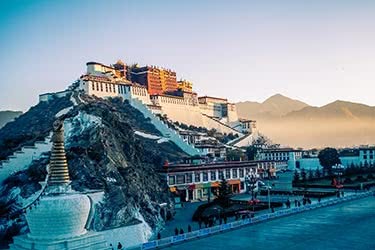 The Nepali capital has a wide array of world-class hotels and we recommend the Hotel Yak & Yeti, Dwarika’s Hotel, and the Hyatt Regency Kathmandu - all of which offer luxurious accommodation and top-notch service. In the evening, you’ll be briefed with the details about your upcoming trek and enjoy a restful night’s sleep in preparation for an early start. 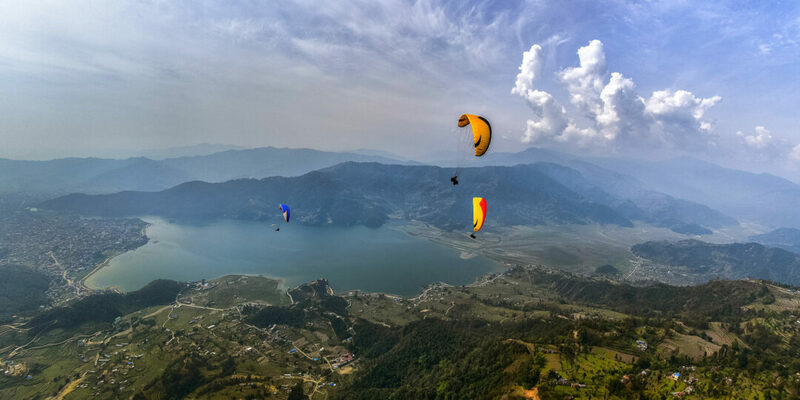 After breakfast at your luxury hotel in Kathmandu, you’ll be driven to Pokhara, Nepal’s second-largest city, boasting gorgeous lake and mountain vistas. 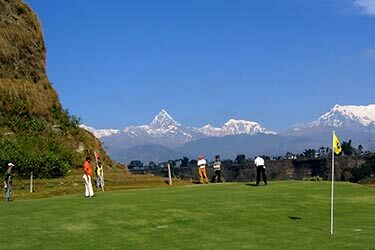 Pokhara is blessed with many beautiful lodges in the mountains and on the lake - Fish Tail Lodge on Phewa Lake, Begnas Lake Resort, and Tiger Mountain Lodge on a ridge overlooking Pokhara are all fantastic choices. 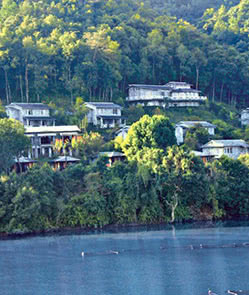 After settling into your hotel, you’ll have the option to take a cruise on Phewa Lake. 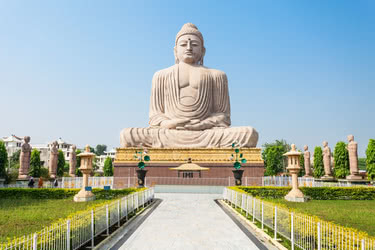 Today you’ll be driven to Nayapul, about 90 minutes from Pokhara. 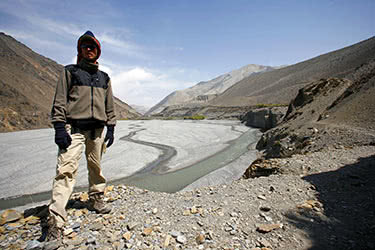 From here, you’ll begin your trek to Tikhedhunga, a journey of around three hours. 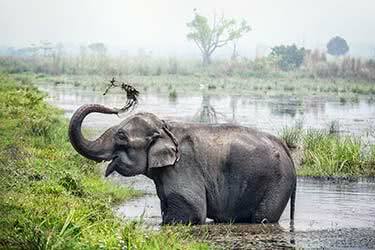 Nayapul means “new bridge” and is named after the suspension bridge where the trail begins. 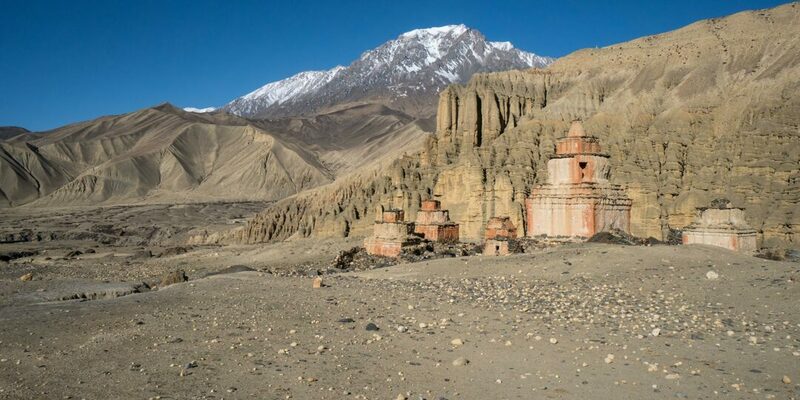 Following a stone pathway through picturesque valleys, small villages and beautiful farmland you’ll camp in Tikhedhunga (5,050 feet). Here, you’ll enjoy a hearty meal - lentils, curry and rice are local staples - before having an early night. 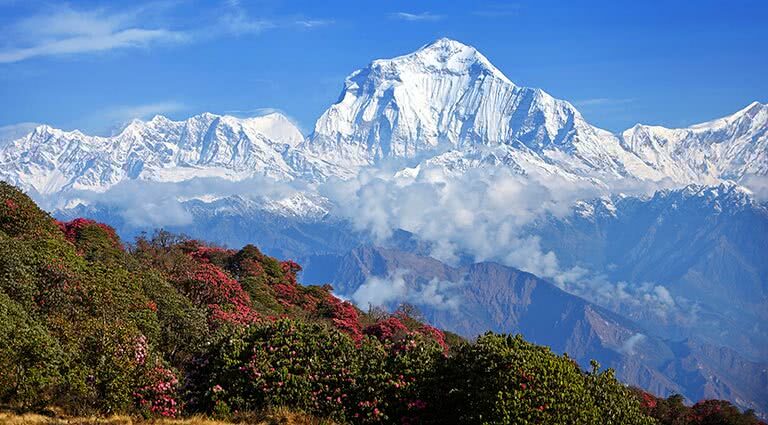 Rise early and eat an energizing breakfast - today you’ll tackle an uphill climb to Ghorepani, at 9,415 feet. There are more than 3,400 stairs on the ascent to the halfway point of Ulleri, after which you’ll enjoy a less demanding hike along winding forest path criss-crossed by streams. 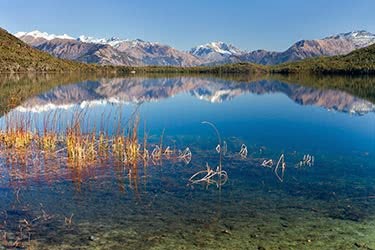 In the villages you’ll encounter a variety of different indigenous communities, and enjoy rest breaks with hot tea and stunning valley views. 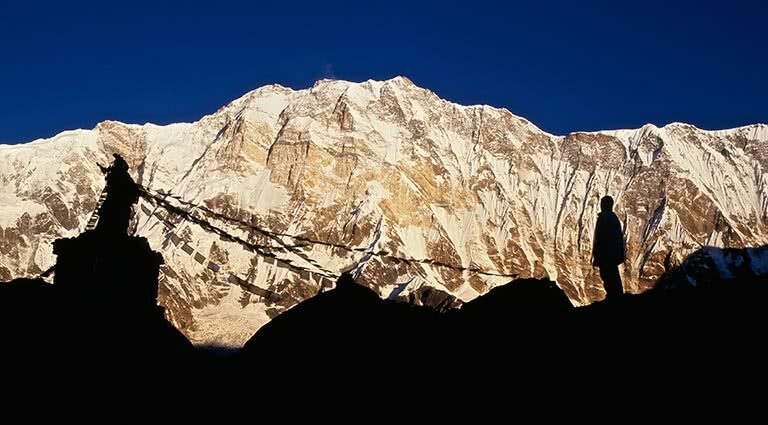 After approximately six hours of trekking, you’ll reach Ghorepani, where you will camp for the night. Wake up before dawn and climb to Pun Hill (10,795 feet) where you’ll enjoy a breathtaking sunrise over a carpet of clouds. 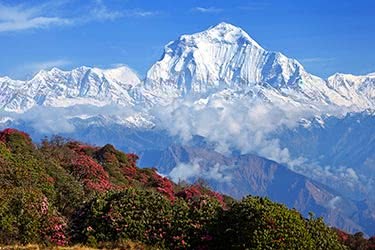 Here you can take in stunning panoramas of the Annapurna and Dhaulagiri mountain ranges with a cup of hot tea or coffee, before descending along rhododendron-dotted trails to Tadapani (8,630 feet) - an overall trip of five hours. Camp and dinner in Tadapani tonight. 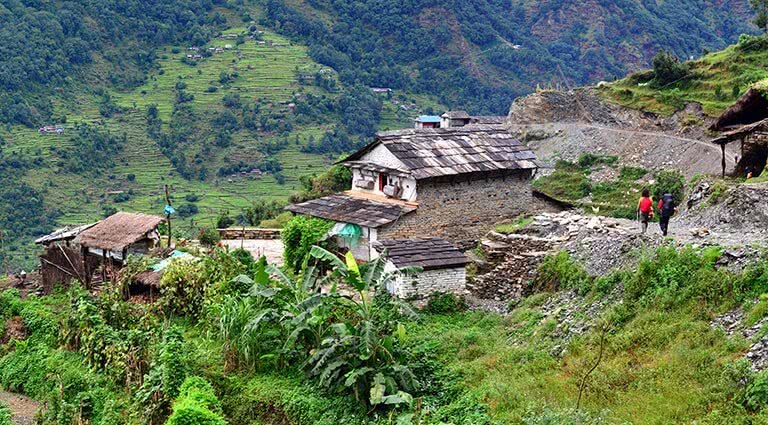 After passing through Tadapani, the trail splits into two - you’ll be descending into Ghandrung Village then trekking onwards to Jhinu Danda where you’ll stop for lunch. Next, you’ll embark upon one of the trek’s most challenging legs - a steep climb up open hillside to Chhomrong (7,120 feet), where you’ll camp for the night. 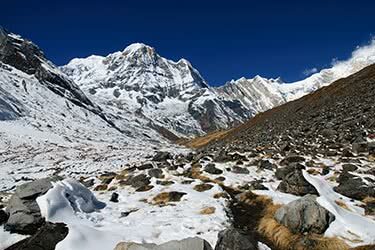 Chhomrong is a major camp for Annapurna trekkers, where you will find internet cafes, bakeries and small shops. 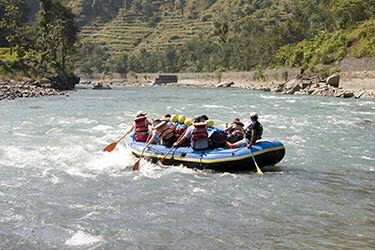 Today you will cross the Chhomrong Dhola (river) via a suspension bridge and make your way up gradually sloping terrain, through maize crops and bamboo and oak forests. You’ll pass through the small town of Sinuwa, where you will stay for the night. Choose to stay at a basic guesthouse or camp tonight. 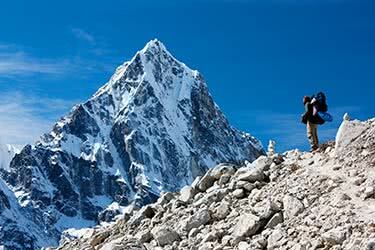 Machhapuchhre Base Camp is your destination today, with a trek of around five hours. 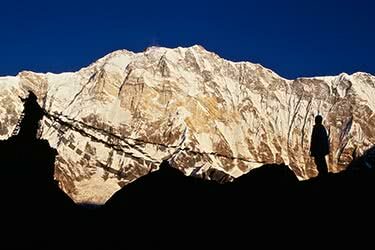 Machhapuchhre means “fishtail” and is so-named after its twin summit, resembling its namesake. 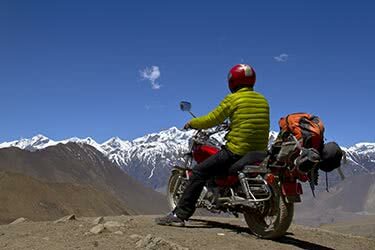 You’ll pass through forest, follow winding rivers, and eventually make your way through scrub to Bagar (10,825 feet), where you’ll stop for lunch. 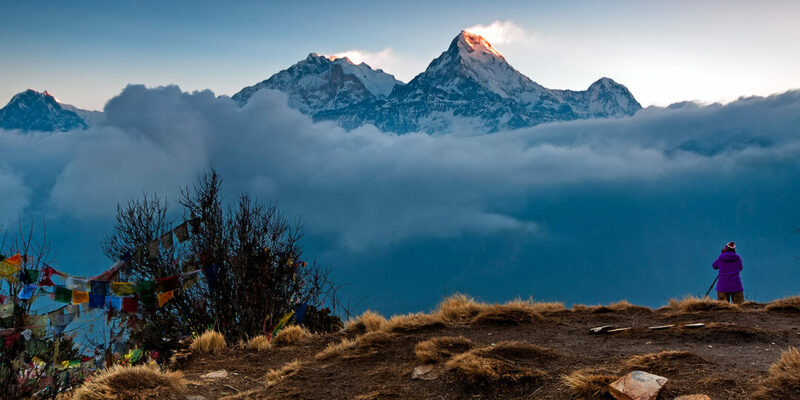 After around two hours of trekking you’ll reach Machhapuchhre Base Camp where you’ll enjoy dinner and get an early night in preparation for a pre-dawn start tomorrow. 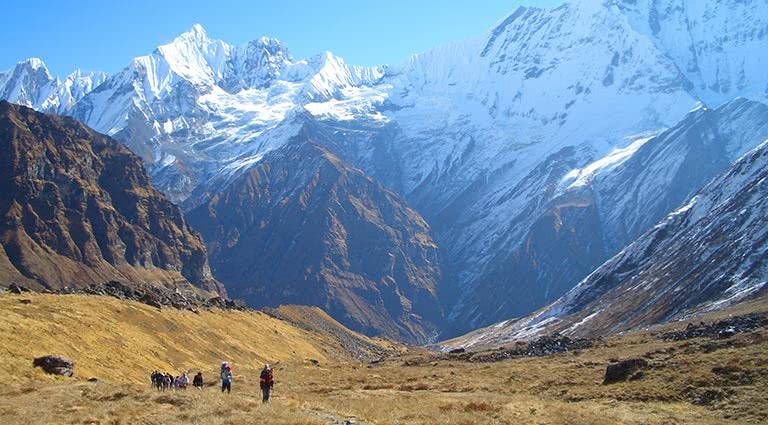 Rise early and take on the final leg of the trek to ABC to catch the sunrise over Annapurna Sanctuary (13,550 feet), just a two-hour trek away. 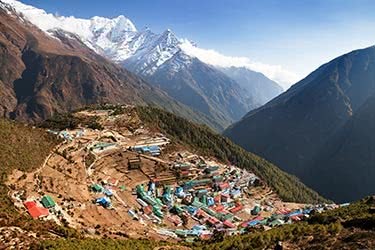 Stay at Annapurna Base Camp for the day, taking in the remarkable Himalayan scenery and resting after almost a full week of trekking. 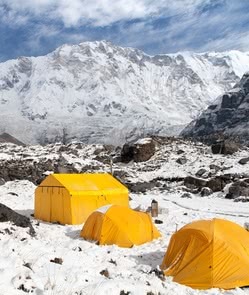 Exchange stories with fellow travelers over dinner, and enjoy an overnight stay at Annapurna Base Camp. 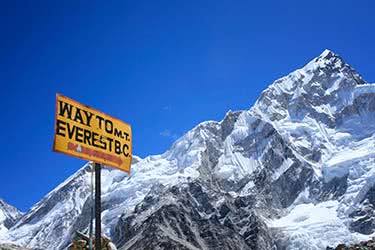 Today, you’ll return to Machhapuchhre Base Camp, a short trek that allows time to enjoy the rugged high-altitude Himalayan terrain. 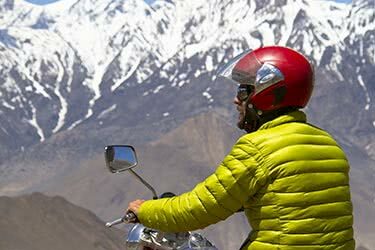 Trees don’t grow at this altitude, so you can enjoy unobstructed mountain and valley views. Tonight you’ll camp overnight at Machhapuchhre Base Camp, with the option of enjoying traditional Nepali food for dinner. 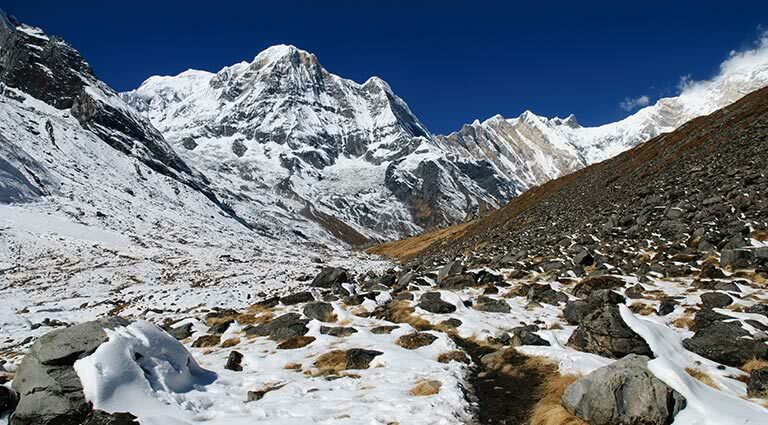 Retrace your steps back to Himalaya Hotel today, an easy trek of around four hours. 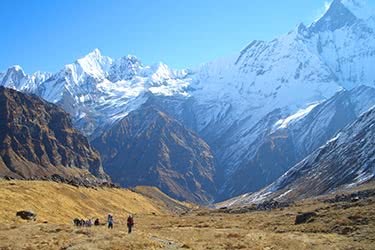 Drink in the mountain scenery, with the Annapurna range’s snow-capped peaks in the background and the vegetation on ground level growing gradually more lush. 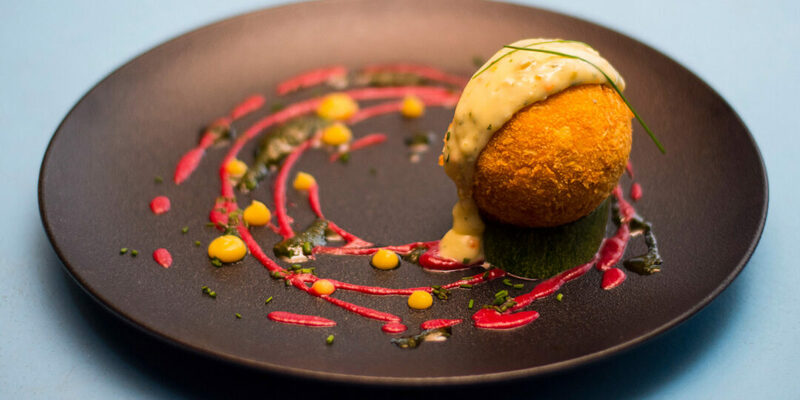 Enjoy dinner and an overnight stay at the cozy hillside guesthouse. 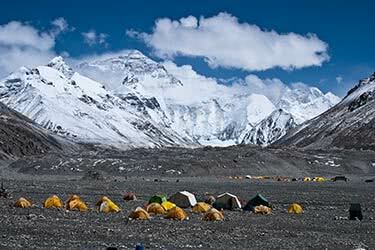 Today you will descend to Chhomrong, a journey of about five hours. Located amid terraced crops of millet, potato and maize, Chhomrong is a picturesque stopping point with crisp streams and verdant valleys. Spend the night here, enjoying dinner made from fresh local produce. 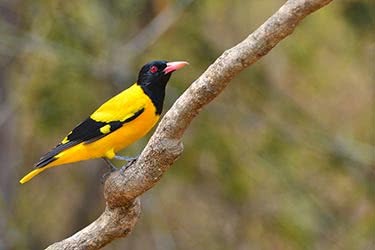 Today you’ll trek around four hours to Landrung (5,575 feet) via the Annapurna Conservation Area, where you will register with the office there and continue on via the Modi River. 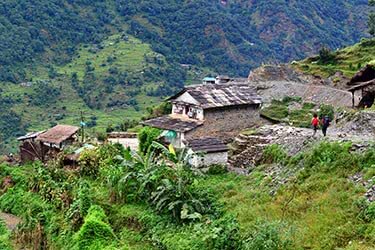 Landrung is home to a community of indigenous Gurung people and offers brilliant views of Annapurna South and Hiunchuli Peak. You’ll spend the night here in Landrung. 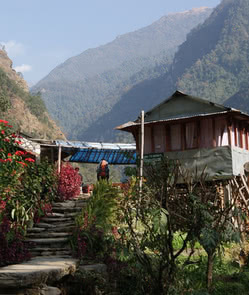 Today you’ll make the easy descent into the beautiful little village of Dhampus, then on to Phedi. 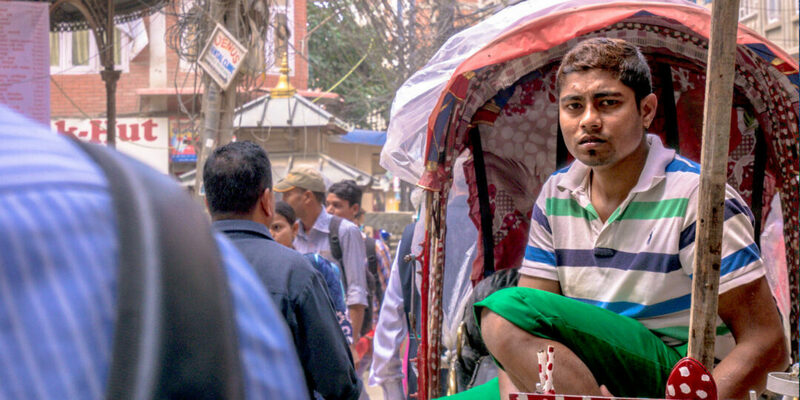 In Phedi, you’ll be greeted by a driver who will take you to Pokhara where you can enjoy your first night of luxury after many days of trekking. We recommend the Begnas Lake Resort and Tiger Mountain Lodge for service and luxurious amenities. 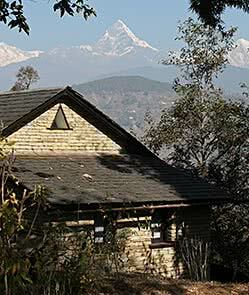 After enjoy a delicious breakfast in Pokhara, you’ll be driven back to Kathmandu along the Prithivi Highway. 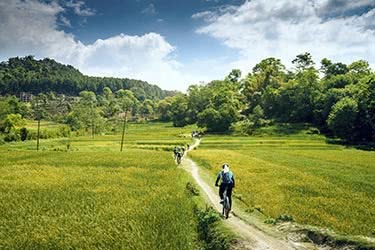 It’s a scenic seven-hour drive, and you’ll enjoy a traditional Nepali thali set for lunch set along the way. 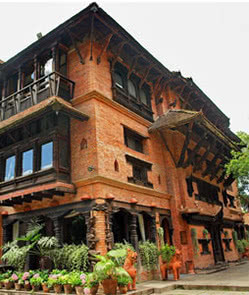 Back in Kathmandu, you’ll check into a luxury hotel - we recommend Hotel Yak & Yeti, the heritage-style Dwarika’s Hotel. 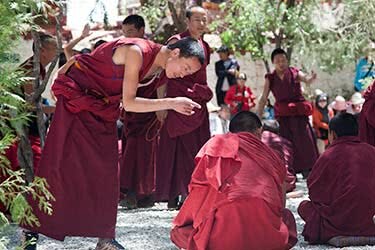 Today you’ll meet a knowledgeable English-speaking guide for a full-day sightseeing tour of Kathmandu Valley with its palaces, historic architecture and ornate temples. 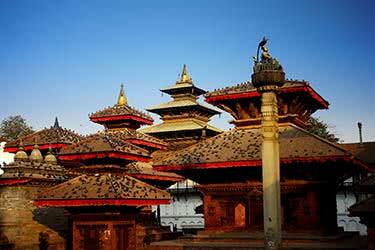 You’ll also visit the ancient royal city of Patan, a UNESCO World Heritage Site said to have been founded in the third century BC. 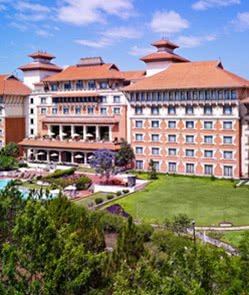 Tonight, you’ll enjoy the final night of your Himalayan tour in the comfort of your luxury hotel in Kathmandu. 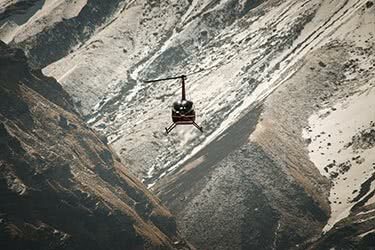 Today you’ll be transferred to the airport for your onward flight out of Kathmandu.